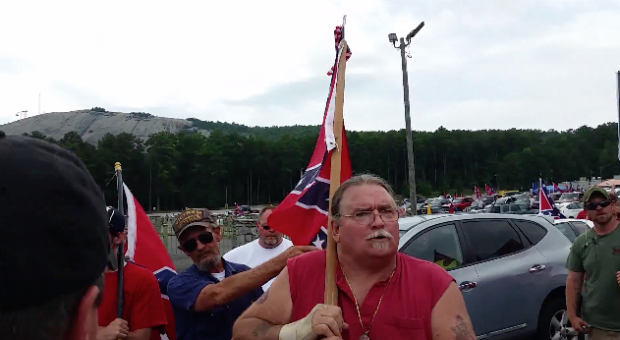 This weekend Stone Mountain state park was host to a very controversial Confederate rally. Throughout the day close to 1,000 people visited Stone Mountain park to take part in the rally supporting the confederate battle flag and what it stands for. If you haven’t heard recently, many activist want to change the carvings on the side of the mountain, some even proposing to carve OutKast. The activist are pushing for a change mainly because it was the birthplace of the 2nd Ku Klux Klan in 1915 and the carvings depict three Confederate figures during the Civil War: Stonewall Jackson, Robert E. Lee, and Jefferson Davis. We even took the time to visit the rally, we were told that it was a peaceful rally up until after a few KKK members showed up and got pretty hostile. 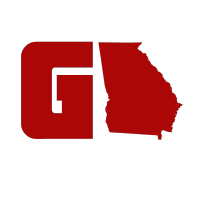 Rallies in Georgia have been a hot commodity over the last couple months. Read about them below..